When you talk to people who have vacationed in Maui, they will probably tell you about the winding Road to Hana or the sunrises at the Haleakala National Park. While these to-dos are wonderful, they aren’t feasible when you have young kids. Hawaii is very kid-friendly are there are plenty of ways to fill up a week-long vacation while leaving lots of time for relaxation. Here are my tips and checklists of where to stay and what to do in Maui with kids! This year, winter has been a savage for most parts of North America. For us in Calgary, Alberta, Canada, it started in October and hasn’t let up yet. We’ve had extremely cold temperatures, huge amounts of snow and all the hibernating that goes along with it. It’s tough for parents and kids to be cooped up indoors! Hello friends! As a mom of boys I can swear to you that their love of cars, trucks and dinosaurs is imprinted on males from the time of birth. Dinosaurs are so much fun when you are a kid and as you get older, they become even more fascinating. So where do you take your children to feed that prehistoric love? The Royal Tyrrell Museum in Drumheller, Alberta, Canada. See what all the fun is about plus watch our YouTube vlog! Whenever we have family come to visit us in Calgary, we transform into tour guides, trying to show off the beautiful province that we live in. It’s a vacation for them and a staycation for us. This past weekend, we headed to the Canadian Rocky Mountains to explore the crystal clear lake waters that make Alberta famous. If you haven’t been here, then come experience a little bit of heaven on earth. I hope that many of you have had the opportunity to experience at least a couple days of spring in British Columbia. Tulips, daffodils, azaleas, rhododendrons, cherry blossoms and tulips trees in full bloom and they create these gorgeous hues of pink and red everywhere. It’s a short period before the petals start to fall like rain but it’s so worth experiencing it. While the rest of Canada is still under snow or stuck in that drab brown landscape, places like Vancouver and Victoria are blossoming. I’m lucky enough to have made it to Vancouver twice the past two Aprils to model a dress made of toilet paper at the Grocery and Specialty Food convention. I know this sounds ridiculous right? So let me explain. 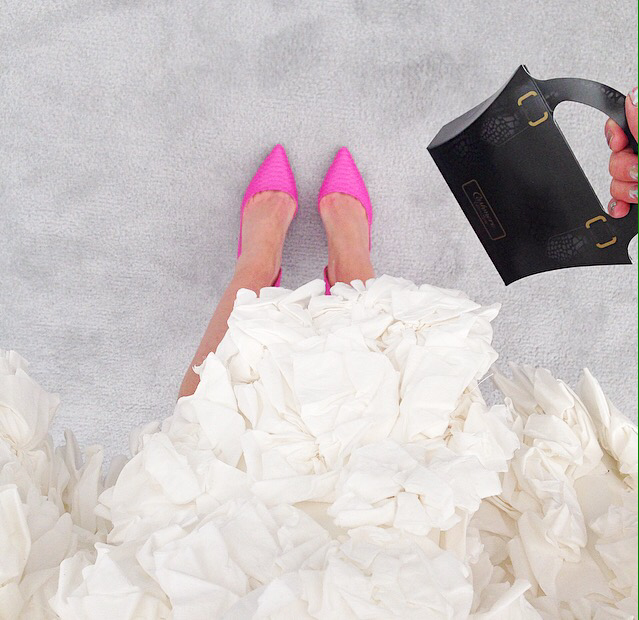 Every fall, fifteen Canadian bridal fashion designers each create a dress using Cashmere bathroom tissue. They are showcased on a runway in Toronto at an event to benefit Breast Cancer Research. The White Cashmere Collection is part of their annual support of the Canadian Breast Cancer Foundation. For every Kruger product that you buy with the pink ribbon (Scotties facial tissues, Sponge Towels, Purex and Cashmere bathroom tissues) they donate twenty-five cents to the foundation. After the fashion show, one of the dresses is then chosen and flown to Vancouver for me to wear. I get to walk around the trade show and talk to people about the dress and the cause for a couple days. Kinda like Princess Aurora at DisneyWorld? Maybe not exactly, but I look forward to doing it every year! Half of the excitement is finding out which dress it will be. The dresses are all so different but I have no trouble feeling like a princess once I put one on. Check out the entire 2015 Collection!! You won’t believe how beautiful they are. Merry Christmas friends! I hope you all had some quality family time during these past few days. I’ve been so fortunate to spend it with my family here in Calgary this year. It’s always hard missing my husband and I’s extended families in Ontario but it’s just so hard to travel during the busiest time of year with two little kids. A little tradition that we started last year was to spend two nights at the Fairmont Banff Springs right before Christmas. 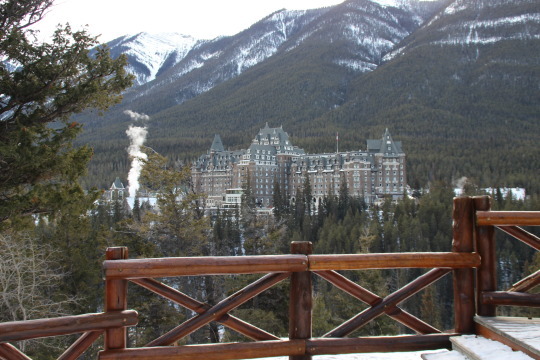 It is a magical wonderland during the winter in Banff, Alberta, Canada, but “Christmas at the Castle” is extra special. The hotel is filled with decorated Evergreens, giant gingerbread houses, a Santa’s workshop and even nightly bedtime stories. Our kids spend a couple days swimming in their outdoor, heated pool and my husband and I spend a couple days relaxing. Getting away from the city can be just what you need to unwind. ; leaving the daily stresses of work, schedules and household chores! 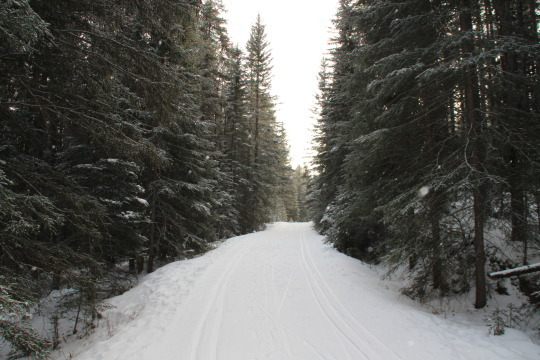 If you want to enjoy the snow, there is an outdoor skating rink, tobogganing hill and cross-country skiing trails, all surrounded by the majestic Rocky Mountains. Just don’t forget to bring your warmest gear as the temperature dips well below freezing during the day! Shop my picks for warm winter outerwear in the links above. What are your favourite family traditions during the holidays? P.S. Now you can never miss a post by following me on Bloglovin’! My short and sweet travel guide on how to see the best sights of Italy in 10 days. I am a mother with 2 young kids so my husband and I rarely get to take a trip together. We love traveling but getting away for an extended length of time can be really tough. We’ve always wanted to see Italy so for our 5 year wedding anniversary, we decided to do it. I must admit, I am a crazy planner when it comes to traveling somewhere. I have a phobia of showing up to a new place and missing out on something because I failed to know about it. So for Italy, I spent hours in front of the computer researching Trip Advisor and flipping through my Fodors guide book trying to plan the best trip in a short amount of time. With so many places to go and things to see, Italy can be a bucket list trip. Here is our 10 day Italian itinerary with overnight stops in Venice, Florence, Cinque Terre, Siena and Rome with a pit-stop in Pisa. Don’t forget about other cities like Milan, Naples and the Amalfi Coast. It’s just so hard to choose! *On a short time frame, stay in the heart of the cities. Don’t waste time commuting in everyday to see the major attractions. *Get good maps and ask for directions! Especially if you are driving. *Fly to Venice and work your way down or to Rome and work your way up. *On the first Sunday of every month, Italy offers free admission to all museums. *If you can purchase your admissions tickets ahead of time it may save you a lot of waiting! Venice is my absolute favourite city in Italy. We started our journey here and I don’t think you could pick a more unique and romantic place to stay. You will love getting lost in a maze of walkways and bridges as every time you turn a corner, you are greeted with a new sight. Florence is easily the cultural centre of art history in Italy. Get here in a couple hours by taking a high speed train from Venice to Florence. The city is easily accessible by walking or biking and it’s easy to cover a lot of ground in one day. The Duomo is the heart of the city and an absolutely magnificent sight. Climb the windy stone staircase to the top if you aren’t too claustrophobic! My husband and I decided to rent a car for 4 days to visit the Italian Riveria towns of Cinque Terre and then the Chianti Wine region town called Siena. Rental cars can easily be reserved ahead online. Although driving can be confusing, if you get a good map and directions ahead of time, this is a wonderful way to explore Italy. You cannot beat the culture and beauty of Cinque Terre. I could have stayed much longer exploring these 5 coastal villages. Monterosso Al Mare is the larger town and offers more in the way of dining and lodging but all towns are worth thoroughly exploring. For all the information you need on Cinque Terre, please visit my previous detailed blog post here. Pisa can be a pit-stop. We stopped here while driving from Cinque Terre to Siena. We found free street parking and spent an hour touring around the grassy piazza of the Leaning Tour of Pisa. It is a beautiful plaza that is worth a stop. The Tuscany wine region is most easily accessible by car. I would highly recommend seeing this region by this mode of transportation as it is wonderful to have a bit of open freedom after touring some of the larger cities. Siena is a beautiful walled medieval city with fantastic surrounding views. If you don’t want to stay in town, I would suggest booking a villa in the countryside. If you’re looking for a different option than Siena, try the town of San Gimignano. After spending our first day walking and sight seeing in Siena, we spent our second day touring around the Tuscan Chianti region in our rental car. This was the perfect way to relax and go at our own pace. Take your time lunching and wine tasting along your drive between Castellina , Radda and Gaiole in Chianti. *La Prosciuterria – the most delicious meat and cheese boards from local produce. Rome may be a little overwhelming after 8 full days of traveling. There is enough to do and see to fill your days here. The long lines and flocks of tourists may seem daunting but everything you see will be worth it, especially St. Peter’s Basilica. After returning our car to Florence we took another high-speed train to Rome. Rome is one of the only Italian cities that has a subway system so use it when your legs need a rest. It also can connect you to the airport which is super convenient. There are “hop-on hop-off” bus tours too that take you to all the main attractions. This is a good option when traveling in those hot summer months. Whether you are blessed with more time in Italy or less, choose an itinerary that suits your needs. We definitely tried to cram as much as we could into our ten days but I didn’t want to miss any of the spectacular sights in these six cities (see, it’s my phobia!). It’s true I felt pretty exhausted on our journey home but my soul felt full.